Cardinal Conversations: Francis Fukuyama And Charles Murray On "Inequality And Populism"
The Hoover Institution hosts "Cardinal Conversations: Francis Fukuyama and Charles Murray on 'Inequality and Populism'" on Thursday, February 22, 2018 from 7:00pm - 8:30pm PST. In recent years, there has been a wide-ranging debate on the relationship between inequality and political populism, not least (but not only) in connection with Donald Trump's victory in the 2016 presidential election. Two scholars who were early to understand the importance of both inequality and populism were Francis Fukuyama and Charles Murray—though they arrived at very different conclusions. 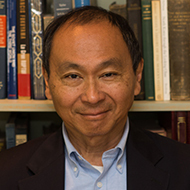 Francis Fukuyama argued in 2011 that ideology and policy had given rise to “an American plutocracy of a narrow and discrete but hardly harmless sort. Wall Street seduced the economics profession not through overt corruption, but by aligning the incentives of economists with its own. It was very easy for academic economists to move from universities to central banks to hedge funds—a tightly knit world in which everyone shared the same views about the self-regulating and beneficial effects of open capital markets. The alliance was enormously profitable for everyone: The academics got big consulting fees, and Wall Street got legitimacy. And it has kept the system going despite the enormous policy failures it has generated, not to exclude the recent crisis.” Fukuyama's most recent work (Political Order and Political Decay: From the Industrial Revolution to the Globalization of Democracy, 2014) has warned of a profound crisis of American (and European) political institutions. And here's a short interview clip. Charles Murray's diagnosis is different. In Coming Apart (2012), Murray emphasized “the growing cultural divide between America's upper and lower classes.” He and Fukuyama agreed about Wall Street, it’s true. Looking at the explosion in the value of the total compensation received by the chief executives of large corporations, Murray pointedly asked if “the boards of directors of corporate America—and nonprofit America, and foundation America—[have] become cozy extended families, scratching each other’s backs, happily going along with a market that has become lucrative for all of them, taking advantage of their privileged positions—rigging the game, but within the law.” However, for Murray it is the cultural polarization that is the real problem. Not content with being educated together at elite universities and then marrying each other, members of the “cognitive elite” then proceed to work together and to live in the same neighborhoods, which Murray calls the “SuperZips” (the 882 richest zip codes in America). The resulting class of “Overeducated Elitist Snobs”—especially the ones living in Beverly Hills, Santa Monica, Malibu, Manhattan, and Boston—tend to be markedly more liberal than the national average. But this is mainly because, thanks to a new segregation along class lines, they “have little direct experience with the lives of ordinary Americans.” The victims of the cognitive elite’s effective secession from any broader notion of American society are the new lower class: the Americans with nothing more than a high-school diploma, if that. Murray vividly localizes his argument by imagining two emblematic communities: Belmont, where everyone has at least one degree, and Fishtown, where no one has any. Here is Charles Murray discussing Coming Apart on NPR. And here is David Brooks in the New York Times. “... we transcribed Mr. Murray’s speech and — without indicating who wrote it — sent it to a group of 70 college professors (women and men, of different ranks, at different universities). We asked them to rate the material on a scale from 1 to 9, ranging from very liberal to very conservative, with 5 defined as “middle of the road.” We also offered them a chance to explain why they gave the material the score they did. Cardinal Conversations events are exclusively for current full-time Stanford University students, faculty, and staff. Francis Fukuyama is Olivier Nomellini Senior Fellow at the Freeman Spogli Institute for International Studies (FSI), and the Mosbacher Director of FSI's Center on Democracy, Development, and the Rule of Law. He is professor (by courtesy) of political science. Dr. Fukuyama has written widely on issues in development and international politics. His book, The End of History and the Last Man, was published by Free Press in 1992 and has appeared in over twenty foreign editions. His most recent book, Political Order and Political Decay: From the Industrial Revolution to the Globalization of Democracy, was published in September 2014. 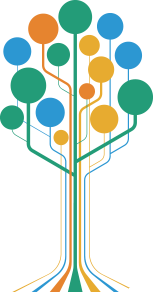 Other books include America at the Crossroads: Democracy, Power, and the Neoconservative Legacy, Our Posthuman Future: Consequences of the Biotechnology Revolution, and Trust: The Social Virtues and the Creation of Prosperity. Francis Fukuyama received his B.A. from Cornell University in classics, and his Ph.D. from Harvard in Political Science. He was a member of the Political Science Department of the RAND Corporation, and of the Policy Planning Staff of the US Department of State. He previously taught at the Paul H. Nitze School of Advanced International Studies (SAIS) of Johns Hopkins University and at George Mason University's School of Public Policy. 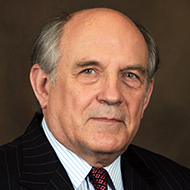 Charles Murray is an Emeritus Scholar at the American Enterprise Institute. A political scientist, author, and libertarian, he first came to national attention in 1984 with the publication of “Losing Ground,” which has been credited as the intellectual foundation for the Welfare Reform Act of 1996. His 1994 New York Times bestseller “The Bell Curve” (Free Press, 1994), coauthored with the late Richard J. Herrnstein, sparked heated controversy for its analysis of the role of IQ in shaping America’s class structure. Dr. Murray’s other books include “What It Means to Be a Libertarian” (1997), “Human Accomplishment” (2003), “In Our Hands” (2006), “Real Education” (2008), and the New York Times bestseller “Coming Apart” (2012). His most recent book, “By the People: Rebuilding Liberty Without Permission” (Crown Forum, 2015) urges Americans to stem governmental overreach and use America’s unique civil society to put government back in its place. Dr. Murray has Ph.D. in political science from the Massachusetts Institute of Technology and a B.A. in history from Harvard University. To find out more about Cardinal Conversations, click here.